Devoted to having fun and expanding participants’ knowledge and understanding of soccer/football; this league targets those who are interested in playing in a semi-formal, organized and fun environment. The ECSFC Pub League (ECSPL) is open to anyone regardless of experience and talent. Please note that the ECSPL is not a developmental team with opportunities for advancing to other competitive ECS FC teams, but is intended for those who wish to simply have fun with friends; all while learning or getting back into the beautiful game. Players involved with our competitive ECS FC teams, past and present, are requested to not register as players for ECSPL. Instead, we are asking those seasoned players to sign up as coaches, managers and/or trainers. This is to ensure that the league is reserved mainly for novice/beginner players. Our Fall 2015 ECSPL season begins August 2015, with registration in late July. 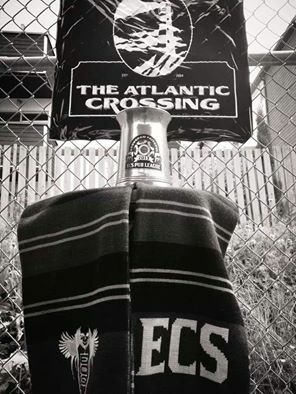 Check the ECS FC Pub League Facebook page for details and updates!